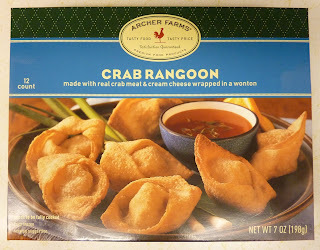 I don't know what a "rangoon" is, but I'm guessing it's an Asian-inspired oven-pastry type hors d'oeuvre, because that's exactly what we have here. To date, this is the most "risky" item I've tried from the Archer Farms brand. And, other than the price, it's a big thumbs up. 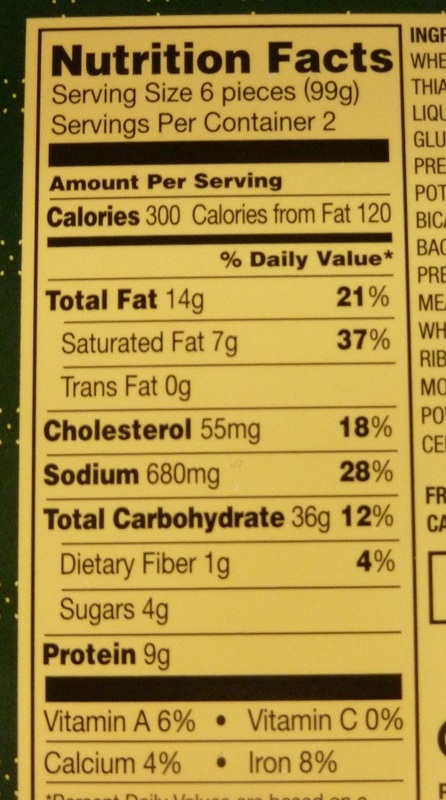 There are no actual chunks of crab meat that I could detect. It's a creamy, crab-infused filling, but it's really tasty. It's almost like a seafood bisque baked into a flaky golden shell. I was thoroughly impressed with the overall taste and quality of this product. On the down side, $6.99 is a bit much to pay for just 12 small pieces of an appetizer, no matter how delicious they may be. This box happened to be on sale for $5.99, and although I've learned to be wary of discount seafood, I decided it was a chance worth taking. Also slightly disappointing and misleading was the lack of a dipping sauce, despite the prominently featured bowl of tasty-looking sweet and sour or whatever on the front of the packaging. 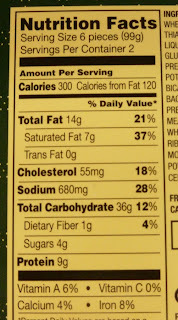 Marketing people can get away with bloody murder via that "serving suggestion" loophole. All in all, I guess the price isn't that bad considering you'd pay 50% more at a seafood restaurant, and honestly, the quality of these is almost on par with Red Lobster-style appetizers or Hancock Gourmet Lobster Company's Maine Shore Dinner (Google Affiliate Ad). I didn't really miss the sauce once I started eating them, because they are quite flavorful. 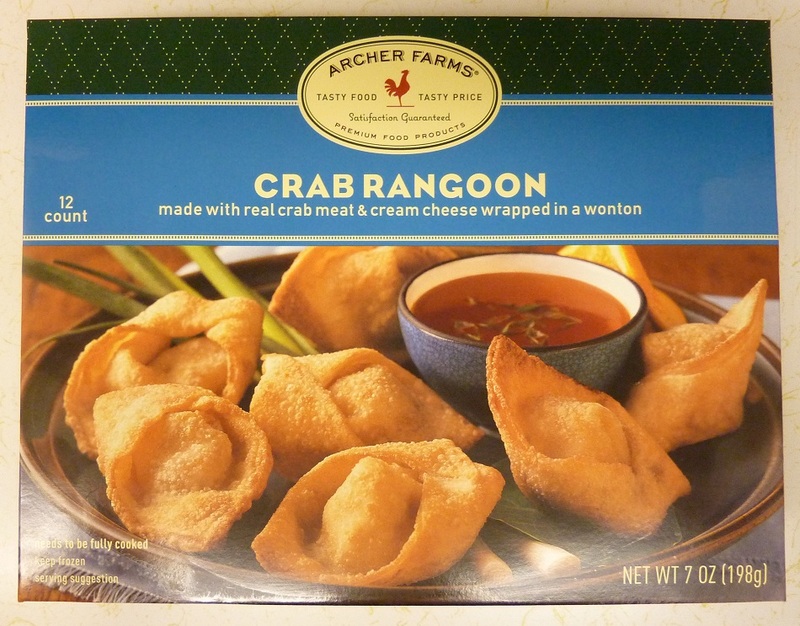 If you like crab, you'll most likely be a fan of these. Trust me, I don't get paid by Archer Farms or Target. I'm being honest and objective, and if you keep reading this blog, you will eventually see a thoroughly negative review. But for now, I'm going to have to sing AF's praises for rewarding me with a tasty treat for dinner last night. I took a risk, and it paid off. I give these 9 out of 10 stars.